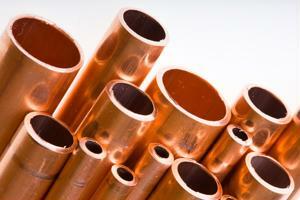 Home Unlabelled Is the future shining on copper procurement? Businesses across multiple industries are making assessments as to whether procuring copper over the next year and beyond will be rife with difficulties. When it comes to purchasing any sort of mineral, a number of concerns are regarded by sourcing specialists. For one thing, enterprises want to ensure their copper suppliers are executing fair labor practices and extracting the mineral efficiently. In addition, corporate procurement officers are concerned about how copper will be physically transported from mines to refinement centers, manufacturing centers and finally the consumer market. The communications industry has used copper to develop both long- and short-range cables as well as printed circuit boards for electronic equipment. However, fiber-optic offers a faster method of data delivery, which is gradually rendering copper obsolete. The energy economy favors copper for its ability to conduct electricity and heat incredibly well. Furthermore, the mineral can be remanufactured to create alloys such as bronze and brass, which are more corrosion-resistant than pure copper. Plumbing and heating mechanism developers use copper to create portable water and heating systems, and regard the metal as the preferred material of professionals working in this space. The automotive industry uses copper to make heat transfer devices such as radiators, bronze sleeve bearings and oil coolers. Somika's input makes it obvious just how important copper is to the global economy. It's no exaggeration when one says that billions of dollars are at stake. While this scenario isn't likely to occur, if copper production were to cease completely, the automotive, communications and energy sectors would have to find new materials to replace the precious commodity or reinvent the wheel, so to speak. According to PricewaterhouseCoopers, the price of copper reached an all-time high of $4.60 per pound in April 2011, which indicates a high demand for the mineral. Since the beginning of 2013, copper has traded between approximately $3.00 and $3.80 per pound. From a copper mining perspective, forecasts don't look too attractive. PwC's survey of copper producers found that 60 percent of respondents believe the price of the metal will decrease throughout the next year. Diego Hernandez, CEO of Chilean copper mining enterprise Antofagasta plc, maintained that new extraction projects are expected to boost supply throughout the next year, causing oversupplies in 2015. Procurement officers are likely to favor this environment, especially those working at construction materials manufacturers and electronics producers. Overall, the consumer economy may benefit as a result because more affordable raw materials often translates to item price reductions. This environment doesn't mean copper miners will suffer over the next year. A large majority (85 percent) of PwC study participants asserted their operation expenses are anticipated to decrease within the next 12 months. None of the respondents acknowledged estimates that processing expenses will rise throughout the same timeframe. Despite PwC's discoveries, some mining companies have been forced to downsize as a result of copper price reduction. Manufacturing.net noted Revett Mining, which is headquartered in Spokane Valley, Washington, recently announced that it will suspend activity at Troy Mine, which extracts copper and silver in Northwestern Montana. Seventy out of the 80 employees currently employed at the facility will be laid off. Revett CEO John Shanahan maintained that the center will not shut down completely, and will likely reopen in the event copper prices rebound. ​However, Revett's situation isn't indicative of the industry as a whole. Montana Resources, another mining company with a facility located in Butte, Montana, employs 350 workers and will remain operational for the foreseeable future.